MEN really are funnier than women according to a new survey – which also confirmed Billy Connolly as the nation’s favourite comedian. 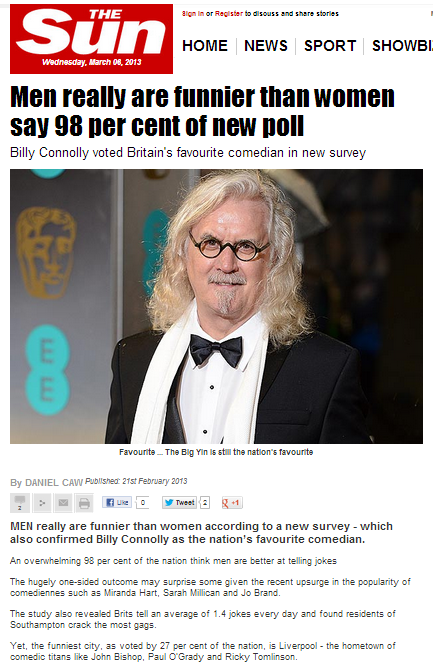 An overwhelming 98 per cent of the nation think men are better at telling jokes. The hugely one-sided outcome may surprise some given the recent upsurge in the popularity of comediennes such as Miranda Hart, Sarah Millican and Jo Brand. Tell us a cheesy joke and you could be on TV! 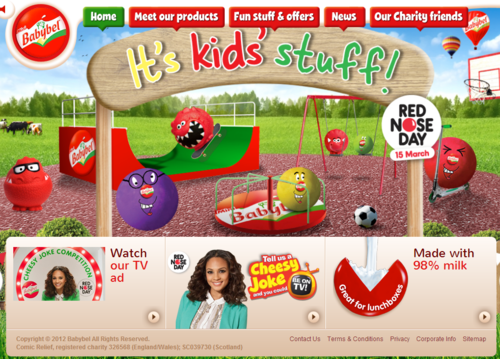 Here’s one for you: did you hear the one about the cheese company who thought selling outdated sexual stereotypes was a good way to support charity? This entry was posted in Uncategorized and tagged babybel, daniel caw, katherine flannery, the sun on March 8, 2013 by Michael Marshall.